The rise and fall of a hockey (or anything) mama. – The Joyful Life Co. The rise and fall of a hockey (or anything) mama. 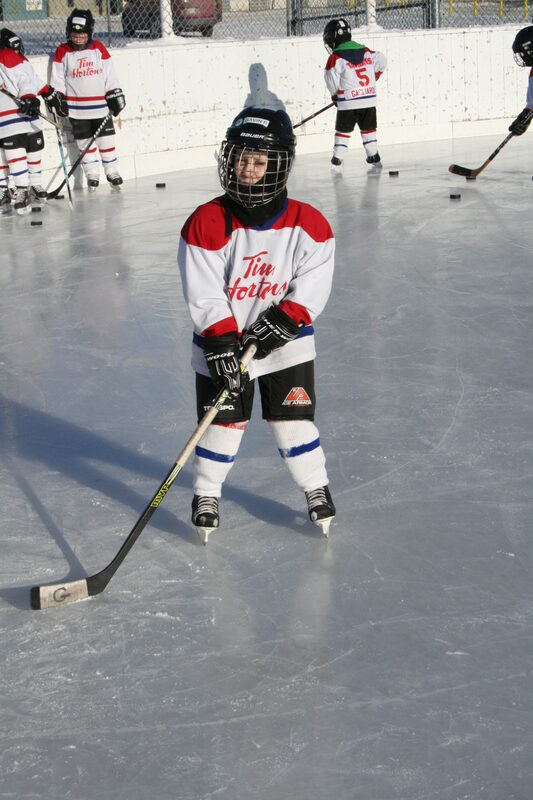 Being a hockey mom was something completely new to me when my little guy first laced up his skates as a Timbit five years ago. I come from a family of three girls, none of whom played hockey or ringette. My husband didn’t dabble in rec hockey until grad school. We didn’t discourage our little guy from playing hockey, but we didn’t really encourage it either. Then a miracle of miracles happened, and in 2011 the Winnipeg Jets returned to their city. Everyone around us had hockey fever, including our impressionable little five-year-old. Then and there, Gavin made up his mind that he was going to play hockey. We signed him up for his first season, bought an ‘all-in-one’ starter set of equipment at Canadian Tire, and the rest is family history. Our little guy was hooked. And with that, my role as a hockey mom was gifted to me. And this is it, the rise and fall of a hockey mom. When G is out there, skating his heart out, I can feel the ice under his skate blades and the wind on his face. When he falls, I feel the hard cold ice underneath him. When he makes a perfect pass, or finally raises that puck, I feel his heart soar. When he misses a pass or a shot, I feel it fall. To me, a super-empath, this is hockey momming. Or anything momming. In my eleven years as a parent, I have soccer mommed, swimming mommed, dance mommed, and music recital mommed. No matter the sport or event, it is the same. This rise and fall right alongside my kids. If pure will could do anything, it would be lifting G up off the ice when he fell, it would propel him to receive that perfect pass, it would give him the flick of the wrist he needs to get the puck in the net. But pure mama will isn’t enough, and so I sit in the bleachers, feeling elated for each awesome play. Feeling so, so proud, for each miss. Because this kid, my kid, gets back up every time. Their names emblazoned on their backs, there is no hiding when you’re out on the ice. As an adult I don’t know if I could do the same. Even under the watchful scrutiny of the bleachers, these kids always get back up. These kids are brave. These kids are daring. I am proud of the success, and even more proud of how they keep going after the losses. We are gearing up for another hockey season, where I will try to achieve the perfect balance of being supportive and playing it cool. This is hockey momming, and I wouldn’t trade it for anything.